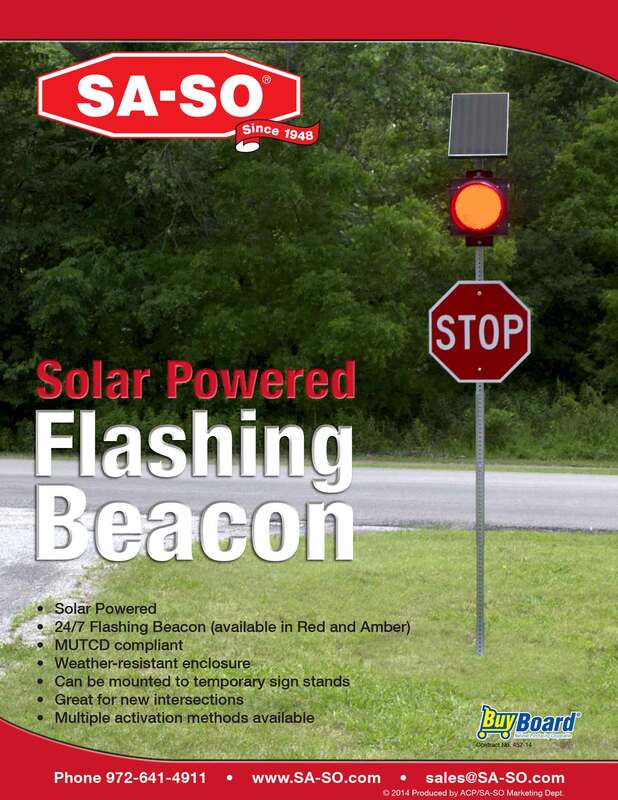 SA-SO's Solar-Powered Flashing Beacons aid in increasing driver awareness of high traffic and pedestrian-traveled areas. Use this product to help prevent accidents in school zones and other hazardous areas. 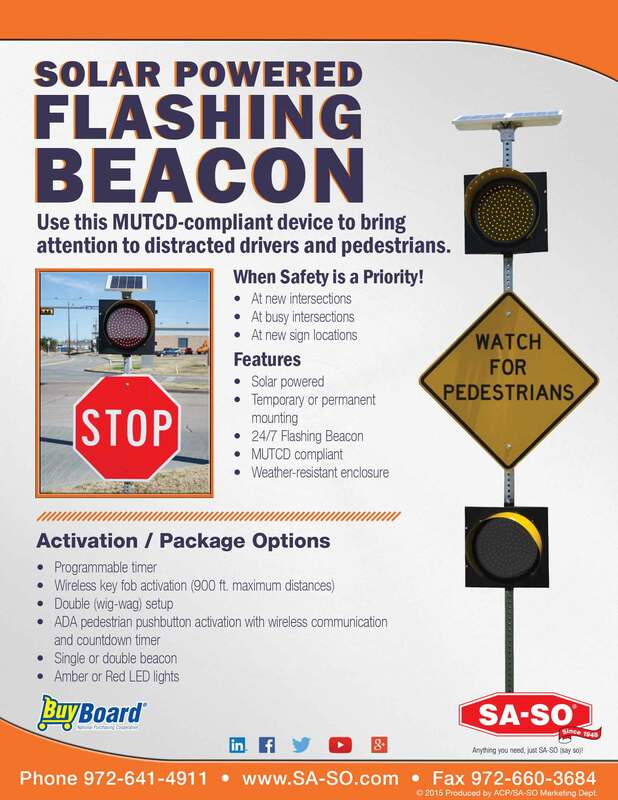 Available in either amber (yellow) or red LED lights, our solar-powered flashing beacons are MUTCD compliant. Place them anywhere with no wiring needed as they’re completely self-contained. Low cost and low maintenance, they utilize renewable energy and can easily enhance stop sign visibility at problem intersections.